Elaine Hancock (Olney, United States) on 16 November 2015 in Architecture. 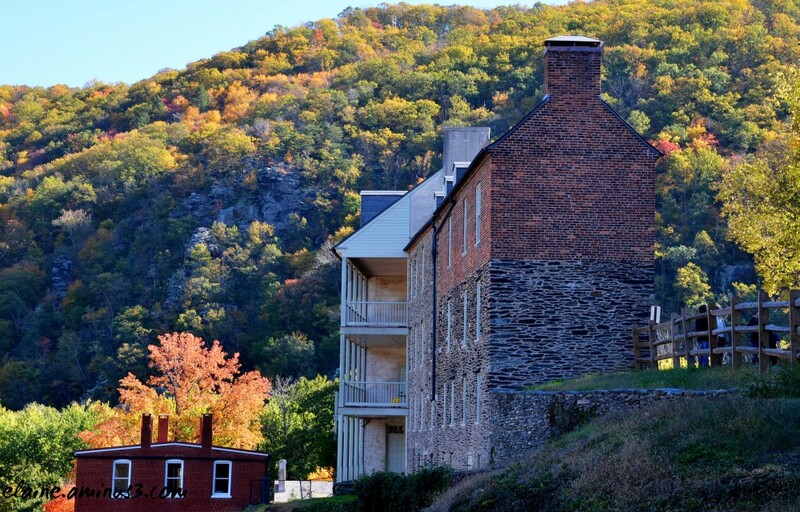 A view of some of interesting old houses in Harpers Ferry. Quelle maison de brique rouge fine et ce fond 'automne superbe. great color and I love the perspective/composition. leaves have turned suddenly here due to unusual cold temps at night. and the Cali drought may be ending...yay! @clodagh smith: Most of our leaves are gone now. We had rainy weather last week with wind and most of the leaves blew off the trees. I hope that the drought comes to an end. Excellent angle and the hillside provides a marvelous autumn backdrop. Un joli coin de villégiature dans une ambiance automnale ! Sympa cette haute bâtisse en pierre et ce petit chalet qui semble en bois en contre-bas mais pour les deux il faut des cheminées pour se réchauffer. Stunning and rich. I like the image captured in shadow or subsun, with the wonderful old detail of the brick and stone walls so sharp in contrast to the fall leaves and light. Bravo. The height of the building makes this an impressive image. A fine shot. Beautiful colors . A superb composition . An excellent PoV chosen here which envelopes the homes with the beautiful autumnal colors!! Très jolie point de vue, belles lumière d'automne et belles couleurs! Nice fall colors, and you are right that the buildings are unusual.